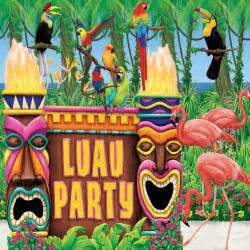 Some of you have seen the announcement via our recent email blast but for those who haven’t, our annual Luau is ON! On Saturday, June 24th (rain date 25th) beginning at 4 pm we will gather at our Beach for food from Adam’s Rib including ribs, chicken, barbeque and sides of coleslaw and potato salad. Beer, wine, water, ice tea, and lemonade will be furnished for all as well. Every resident, owner and renter is welcome. Everyone is asked to bring one additional side including desserts and their own chairs. Join your neighbors and get to know new neighbors…it is always a good time! 2017 Fireworks Over the Bay! 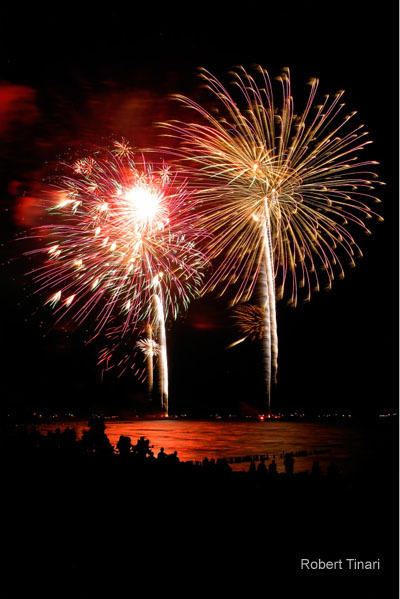 The annual Chesapeake Beach fireworks will be held on July 2 this year with a rain date of July 3. As usual, CSHOA, with assistance from the Town and County Sheriff’s Department will be closing the north and south C St. entrances to Chesapeake Station. Beginning at 4:00PM, vehicle access to Chesapeake Station via C St. will be restricted to those vehicles that have a valid Chesapeake Station sticker or carry a one-day parking pass. Up to four one-day passes will be available for Chesapeake Station households starting June 13 on a first-come, first-serve basis from Penny Schmidt (410-474-2802) for Band Shell Ct. residents, Cathy Diggle (301-785-1784) for Overlook residents, or Dave Ferguson (703-624-8354) and Charlie Pritchard (301-325-0512) for other residents. Requests may also be made by email to cshoa@comcast.net. So as not to overload our parking areas, the number of passes issued will be limited to 260. Chesapeake Station receives a lot of visitors on that day so please ask your guests to consider carpooling. If your guests are arriving early, consider having them park in public areas and walk into Chesapeake Station. Passes are not required for pedestrians. If your guests don’t have a parking pass, their vehicle will not be admitted even if you vouch for them. Parking is permitted in private driveways, with permission of the householder, or in the street. However, please be considerate and do not park in a location that blocks a driveway or road access. Remember that you are responsible for the conduct and safety of your guests. And a final reminder: use of fireworks is prohibited on public and private property. Please instruct your guests that they may not set off firecrackers, rockets, or explode anything anywhere in Chesapeake Station, including your own yard. Be aware of the traffic plan that the Town will put in place for that day. The traffic plan is set up to eliminate all left hand turns on a portion of Route 261 going through the Twin Beaches, enabling traffic to flow with minimal stopping. The centerline of Route 261 will be blocked with delineation devices that will prohibit vehicles from making U-turns. Traffic north of Route 260 along Route 261 on the east side of Route 261 must make right turns and exit left on 5th Street to Boyd’s Turn Road to Route 260. Traffic on the west side of Route 261 must make a right turn and exit on 27th Street to G Street to Route 260. Traffic south of Route 260 along Route 261 on the east side of Route 261 must make a right turn and must turn left onto Route 260. Traffic on the west side of Route 261 must turn right and continue along Route 261 to Summer City Blvd or continue south to Ponds Wood Road and proceed to Maryland Route 4. Thanks for your cooperation and help, and we hope you have a wonderful Independence Day celebration. Cathy Diggle, Chair of our Social Committee, has assembled a Welcome Package for new Chesapeake Station residents. The package includes a Welcome Letter, Vehicle Parking stickers, Contact Information Request form, and a copy of our public Resident Directory. Cathy and the Board of Directors don’t always know when new residents move into Chesapeake Station so we’d like to ask that anyone who does become aware of a new family in our development, please let us know at cshoa@comcast.net so that we can welcome them properly. Thank you! Several of our Chesapeake Station owners rent out their property to others. This is a reminder that per the Chesapeake Station Declaration of Covenants, Easements, Charges, and Liens (http://chesapeakestationhoa.org/documents-governance/) all owners are required to submit a copy of the lease to the Board of Directors. With the rising popularity of Airbnb and other companies facilitating short-term rental opportunities, we also want to remind CSHOA homeowners that rentals for time-periods less than 6 months are not permitted in Chesapeake Station. Spring is here and it is time to ensure that the CSHOA neighborhood continues to look its best. A primary responsibility of a HOA is to maintain property values and keep everyone safe. Chesapeake Station is a unique bay front community with a private beach and panoramic views. It is the goal of the Chesapeake Station HOA to maintain or improve property values and have a community that everyone can enjoy. Many of you have already started on your outdoor beautification projects this season, and we thank you for submitting your Architectural Change Request forms, and getting approval, prior to initiating work. Nevertheless, we wanted to remind everyone that now is the time to inspect your homes for issues that may be unsafe or detract from the pleasing aesthetic that Chesapeake Station is known for. Projects that you have planned may include replacing or adding a new deck, window replacement, modifying or replacing a fence, repainting, re-siding, or landscape work. Every home has different beautification needs and it is your responsibility to maintain the exterior of your home to the standards outlined in Resolution 3 (Architectural Review Procedures and Guidelines) of our Governing documents (http://chesapeakestationhoa.org/documents-governance/). Moreover, for your safety and the safety of all residents we ask that you trim overgrown trees and shrubbery keeping walkways clear, and your home neat and visible from the road. Please remember to submit an Architectural Change Request Application (www.chesapeakestationhoa.org/documents-forms/) to the Architectural Committee and get their approval prior to initiating any work to the outside of your home or yard. If you need more information, contact a member of the Architectural Committee: Penny Schmidt (410-286-0071), Richard Sherman (410-257-2623), Charlie Pritchard (301-325-0512), or Sven Thulin (301-502-5445). Use of our small beach is limited to residents and guests only. Beach rules and safety tips are posted on our web site (http://chesapeakestationhoa.org/documents-beachrules/). If you see a new face at the beach and are concerned about trespassing and wish to inquire, please treat them as a neighbor first and a potential trespasser second. Greet them in a friendly manner and inquire, if you feel comfortable doing so. Alternatively, if you see someone who you suspect is an unauthorized visitor or you witness Illegal, suspicious or dangerous activity on the beach, report it to the Sheriff’s Office. Depending on the circumstances, call 911 or the Sheriff’s non-emergency number (410-535-2800). Don’t put yourself in a potentially dangerous situation by confronting people engaged in these activities. That’s the job of law enforcement. Once you have notified law enforcement, please let the Board know of the issue via email at cshoa@comcast.net or the Contact form on our web site (http://chesapeakestationhoa.org/contact-us/) so that we can track neighborhood trends and follow-up on issues as necessary. When using the beach, leave nothing behind except your foot prints. Please take everything you bring to the beach back home with you, especially trash and pet waste. Pets must remain on leash at all times. Bon fires, camp fires and open flames are not allowed in the Town of Chesapeake Beach including our beach. Fishing is allowed along the rocky berm bordering the bay with appropriate fishing licenses but not within 20 yards of the sand beach because of the hazards that lost tackle presents to barefoot beach goers. Many residents own dogs that they take out for daily walks. You must keep your pet on-leash and under your control when outdoors. This is a County requirement. Also please pick up after your pet. When you’re outdoors with your animal pal, always bring a bag or two for cleanup. Uncollected pet waste is unsightly, unsanitary, and unhealthy. It is also a pollution source for our beautiful Bay. A reminder that the annual CSHOA Owners’ meeting is coming up in September. Look for meeting information in the US mail, including list of candidates for office, official PROXY to use if you can’t attend, and an agenda for the meeting. We strongly urge you to attend! While you’re at it, bring a Chesapeake Station neighbor with you. Active owner participation is needed to keep our HOA healthy and maintain Chesapeake Station as a desirable place to live. We will be particularly looking for owners who are willing to stand as candidates for the Board of Directors. Also, members are always needed for our various committees, so consider offering yourself as a volunteer on one or more of our Committees. Electronic media today provides instant communications and is a great way to bring a community together. Many of you know that we have a web site (chesapeakestationhoa.org) where information relevant to our community is posted. We urge you to visit regularly. The Board of Directors also communicates with residents regularly via email. If you are not on our email distribution list, sign up for it on our web site! Just look for the signup form in the lower right corner of the home page. And we have a private Facebook group where residents can communicate interactively and post information of interest. Posts are moderated and only group members can see posts. If you’re not already a member, you can request access by clicking the link in the lower right corner of the web site home page. You must also have a Facebook account. But if you don’t, it’s very easy to set one up at www.facebook.com.